The ultimate Easter egg holder! 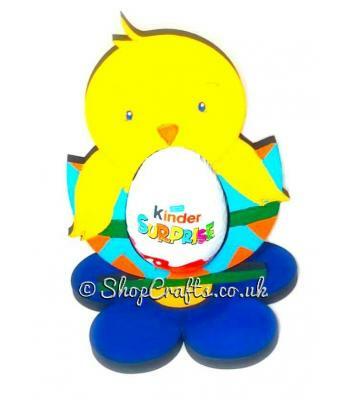 Perfect as either a gift for friends and family or to use during a Easter egg hunt; this plasque holds 9 Kinder eggs (or equivalent). 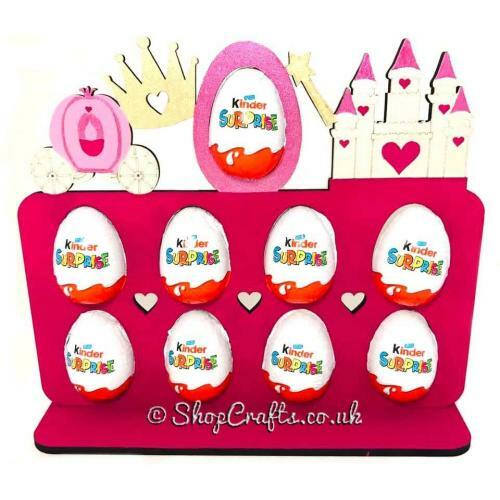 You also have a range of themes to choose from, from traditional Easter shapes such as the bunny and chick to more popular themes such as unicorns and dinosaurs! Each plaque is hand painted in the colours of your choice, simply let me know your preferences when you order. The reverse will be left in the natural wood finish. 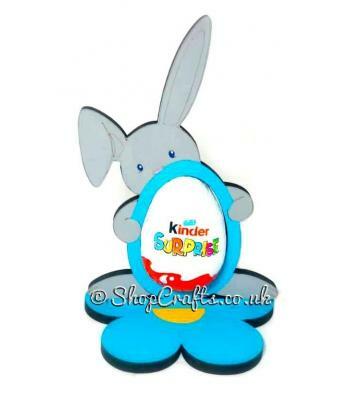 Like with the Christmas advents you also have the option to personalise the stand on your Easter plaque with a single name for a small extra charge if preferred. Please note chocolate is not included and must be purchased seperately. 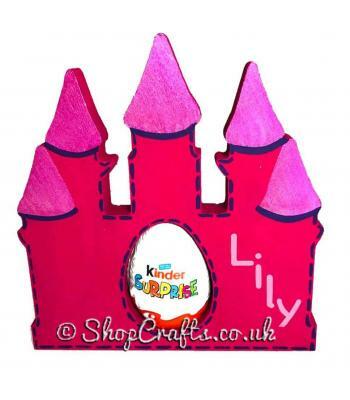 18mm thick Kinder egg holder - Prancing unicorn with heart version. 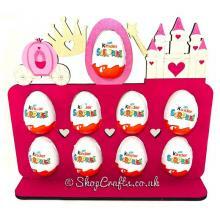 18mm thick Kinder egg holder - Magic Castle version. © Copyright 2014-2019. Powered by Nightingale Craft.